Super Power Cookie – Wholesome! Power can be a good thing–If it isn’t abused, as it so often is. Super Power Cookies can be a really good thing. If they aren’t abused, which is difficult. 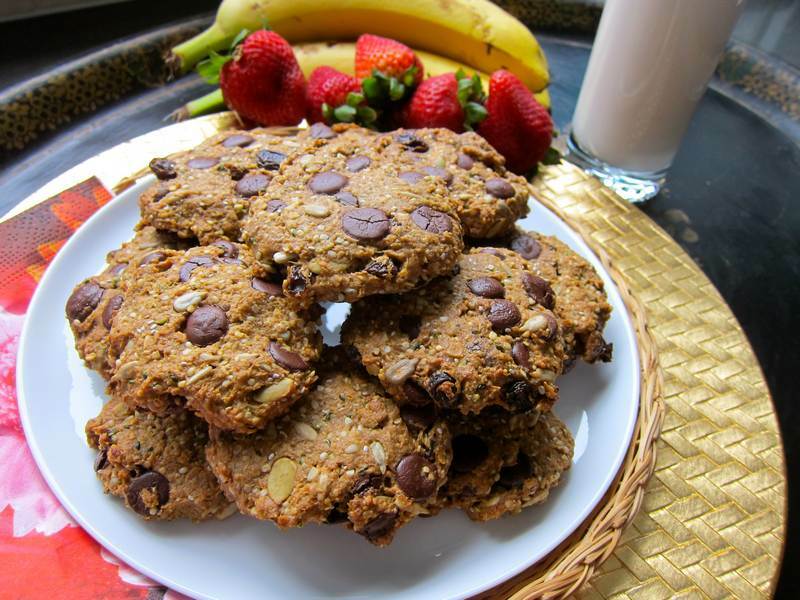 You will be tempted to skip breakfast or lunch, simply substituting Super Power Cookies for meals because a) they taste so good, b) they give you as much energy as you’d get from a meal, c) they are very healthy or d) all of the above. Correct response: d) all of the above. Line 2 baking pans with parchment paper. In a large bowl, combine flour, salt and cinnamon. 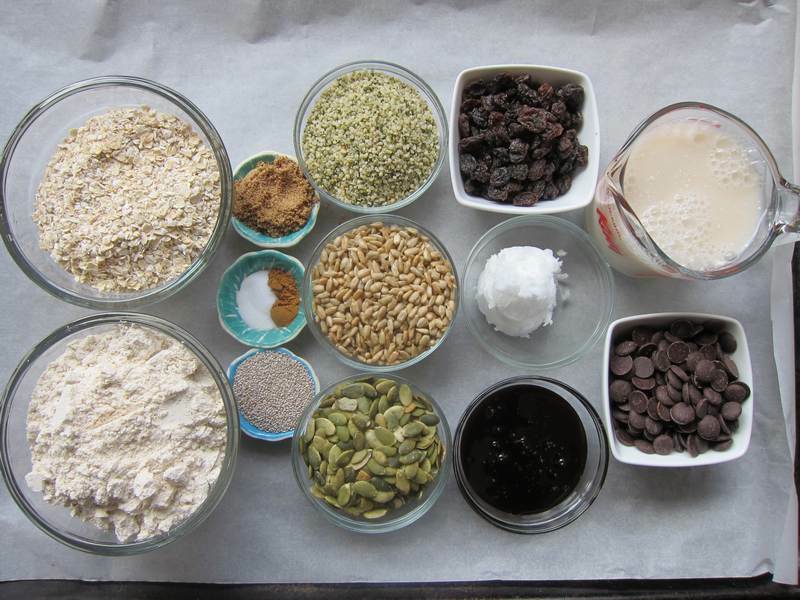 Add oats, raisins and seeds. In a small bowl, blend oil, molasses and milk. Add to dry mixture, and mix well using your hands. Add chocolate chips. Form tablespoon-sized ball shapes, and flatten. Bake for about 20-25 minutes or until tops are set. Cool before serving. Makes 2 dozen cookies. The recipe is inspired by Whole Foods Power Cookie. Credit to my son Andrew, for steering me towards this wonderful treat. Congrats to Andrew for completing the Gran Fondo. That’s 170 km of biking around Bear Mountain, NY. Super power indeed! When you hear the word “cookie,” you probably think of a powerful rush of sugar. But just as this Super Power Cookie gives you that slow steady energy you need, Susan Schwartz of The Montreal Gazette explains the benefits to slow in a quick fix world. How about some passionate advice that can move you forward in life? Listen to Dr. Mo. « Cashew Yam Soup – Secret Supper? Merci beaucoup! Keep the ideas coming. D.) all the above! What a very heathy recipe. Seems like a really good breakfast cookie. I had just 2 yesterday for breakfast, along with a glass of fresh almond milk, and I wasn’t hungry until early afternoon. Finger licking tasty too!